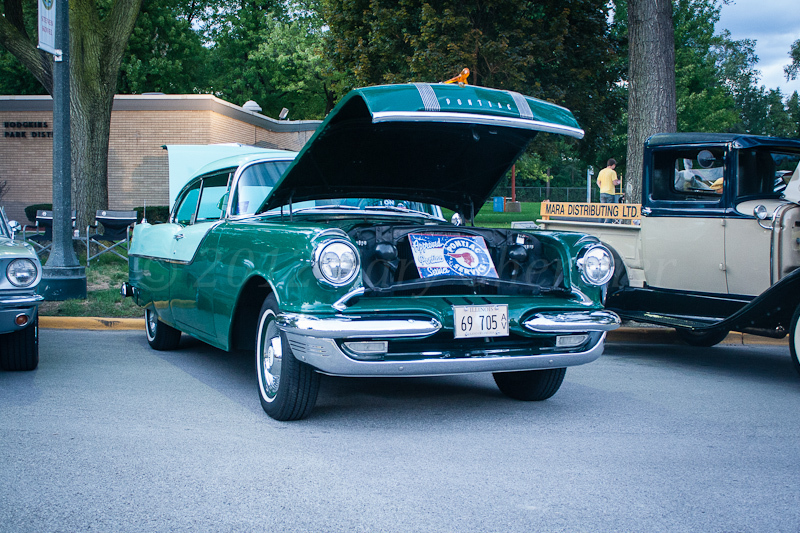 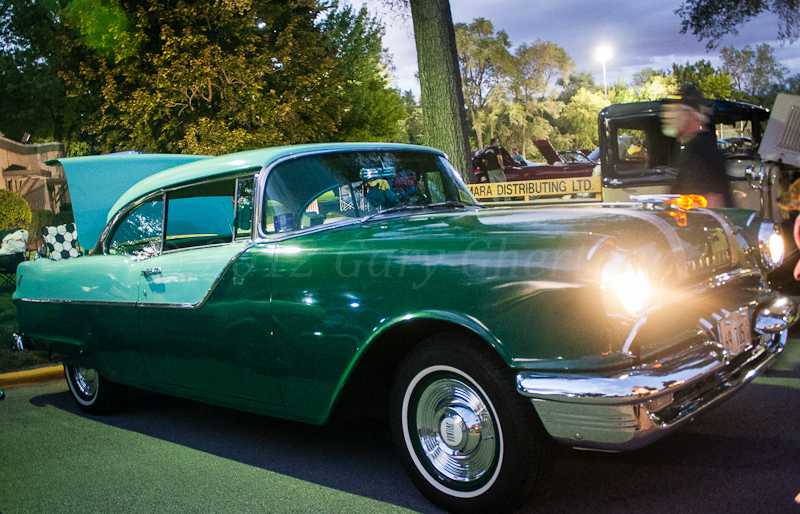 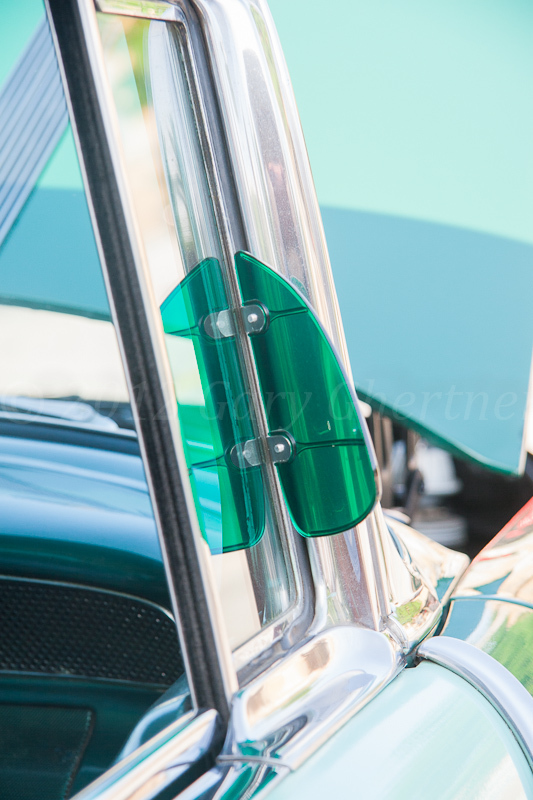 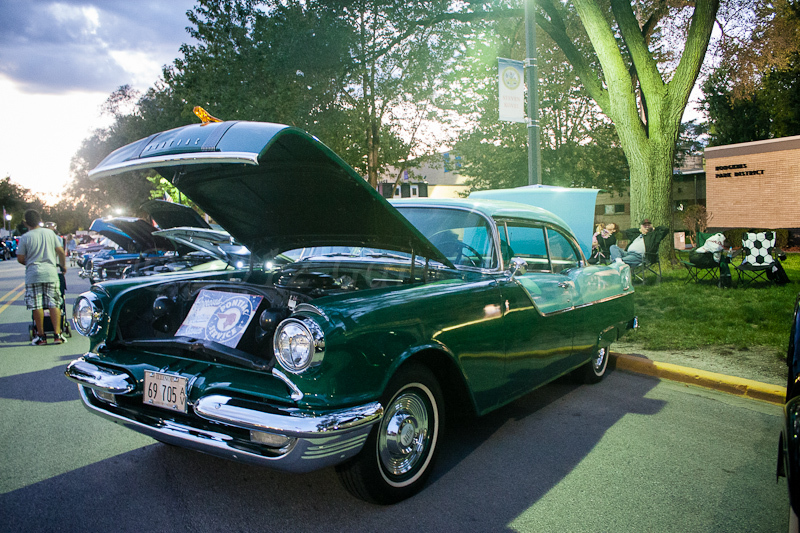 I’ve know Bob and his green Pontiac Catalina since I discovered Cruise Nights when Forest Park started holding their event three years ago. 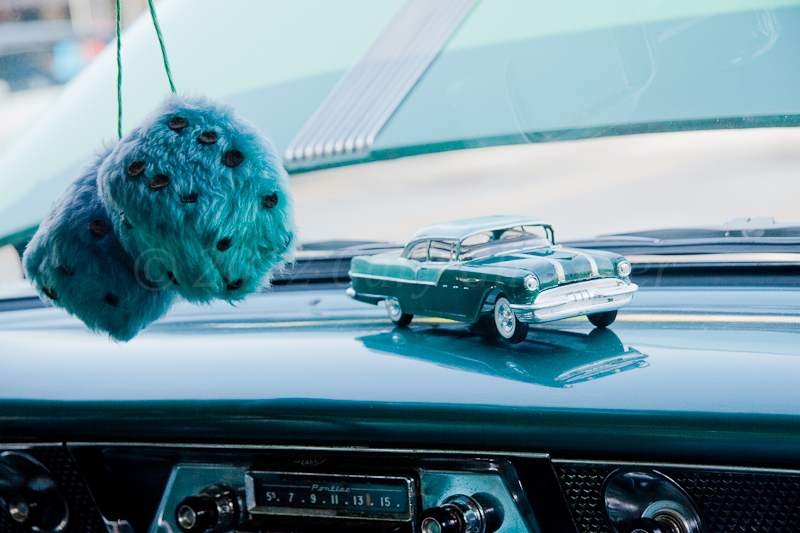 He’s had this car since 2000 and his ‘other (regular) car’ is also a Pontiac. 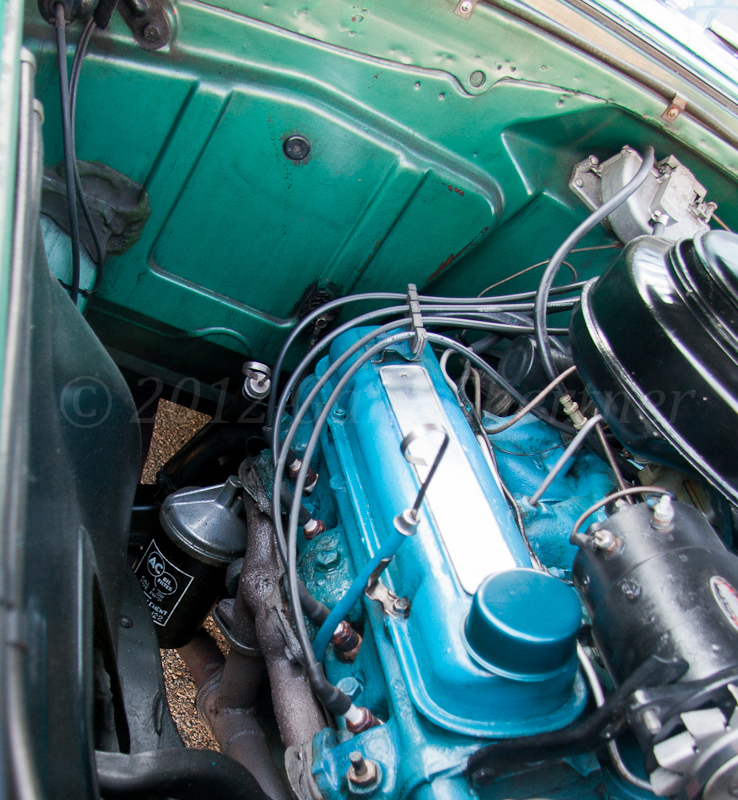 Ponitac first switched from a straight eight to a V-8 configuration in 1955 and the motor has 287 cubic inches. 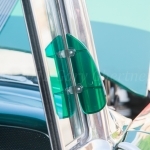 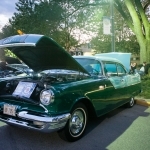 Each year from 1955 to 1958 Pontiac tweaked the same block by boring and stroking the cubes until 1959 when the same engine block boasted 389 cubic inches, which was Pontiac’s motor until 1966 (my first car was a Tempest which had a four cylinder that was half of a 389). 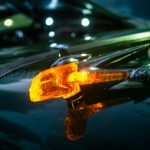 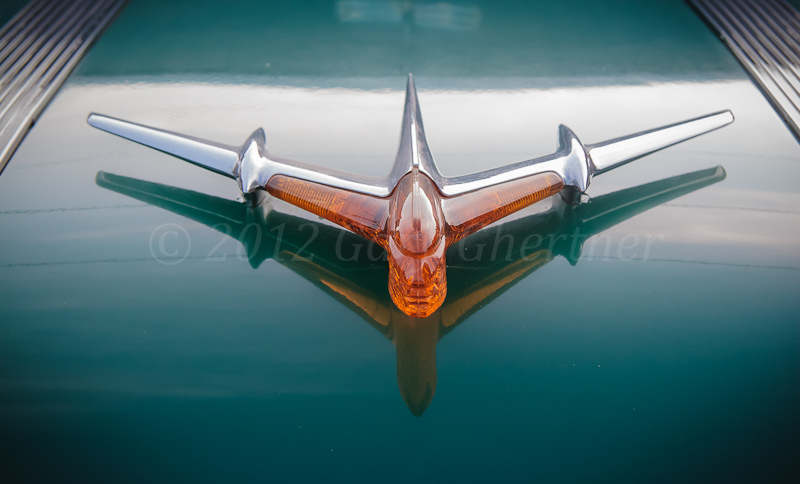 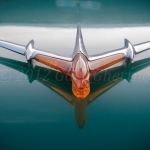 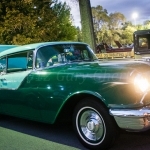 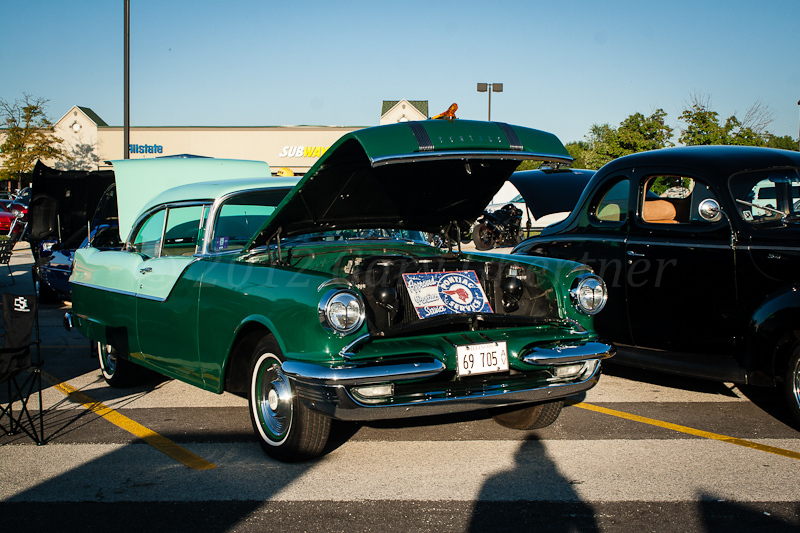 Oldsmobile was the first adopter of Tri-power in 1957 (see Jim’s 1957 Olds 98 Starfire). 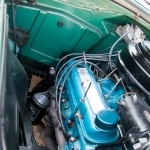 Pontiac followed suit in 1959 with factory Tri-power atop the 389. 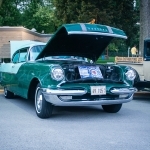 In 1955, the Star Chief was top of the line for Pontiac; Catalina was the middle and Chieftan was the base model (in 1951 the Chieftan (see Frank’s ’51 Chieftan Convertible) was the top model offered by Pontiac Division that year). 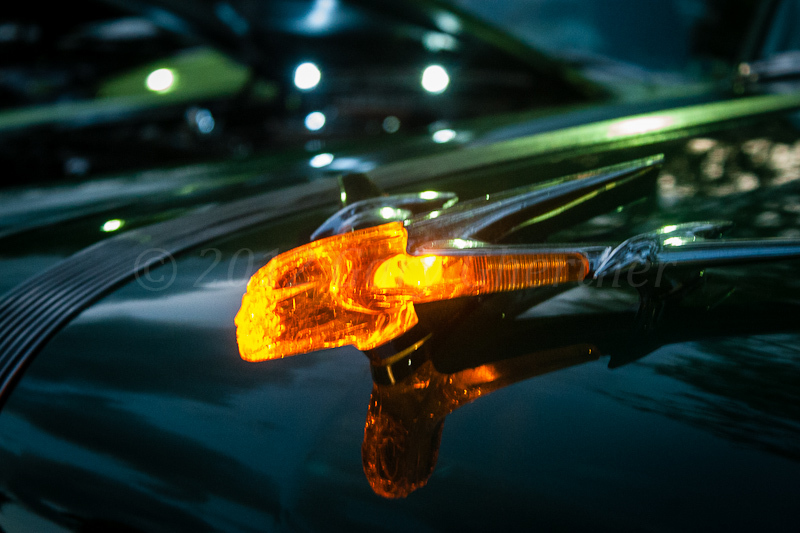 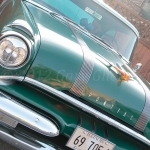 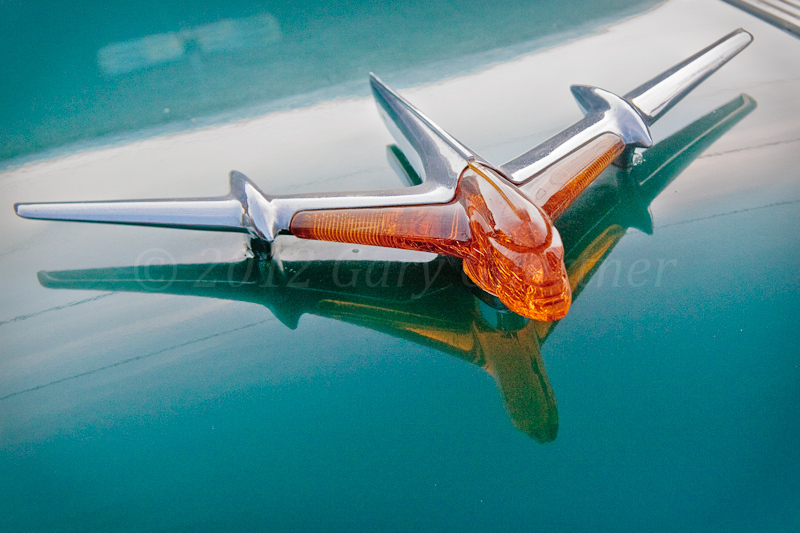 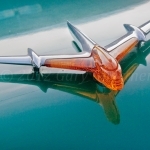 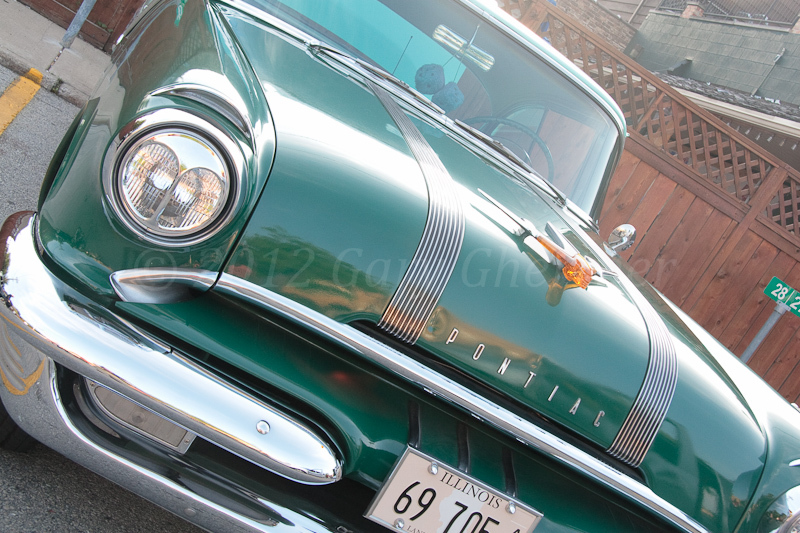 My photos (here) follow this vintage 1955 Pontiac TV commercial.